A scary pattern. Like it has happened before. You go missing, and then you turn up dead. Who will save the voiceless? The body of the Dandora based activist Caroline Mwatha Ochieng was found at the City Mortuary today. She went missing on Wednesday last week and the matter was reported to the police. Ms Mwatha was an ardent critic of the extrajudicial killings in the low income areas of Nairobi. 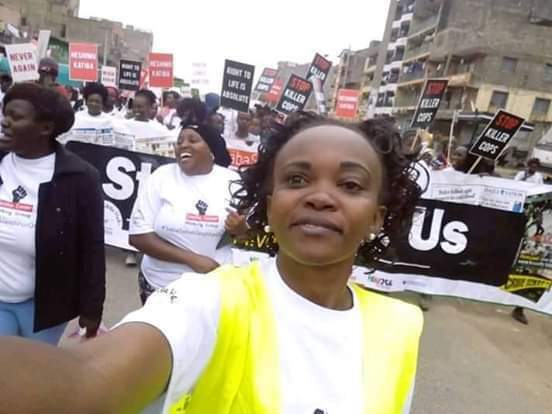 She worked at the Dandora Community Justice Centre (DCDJ) and her work involved collecting and keeping data on extra-judicial police killings. Hundreds of youth have disappeared or turned up dead in what many call killings outside the provisions of law. Police mostly say that those killed were engaged in criminal activities. On the other hand, locals say that it is specific targeting. Worst part is that there is no other way they can defend themselves. The body of activist was found at the City Mortuary today and records show that it was brought on 7th February. What is wrong with this story is that the family of the deceased visited the morgue on 7th but did not find her there. Further investigations have been launched with Kenyans venting their anger on social media. May the killers of Caroline Mwatha never have peace. Rest in peace, Caroline. May the Almighty comfort her family and may justice be served.